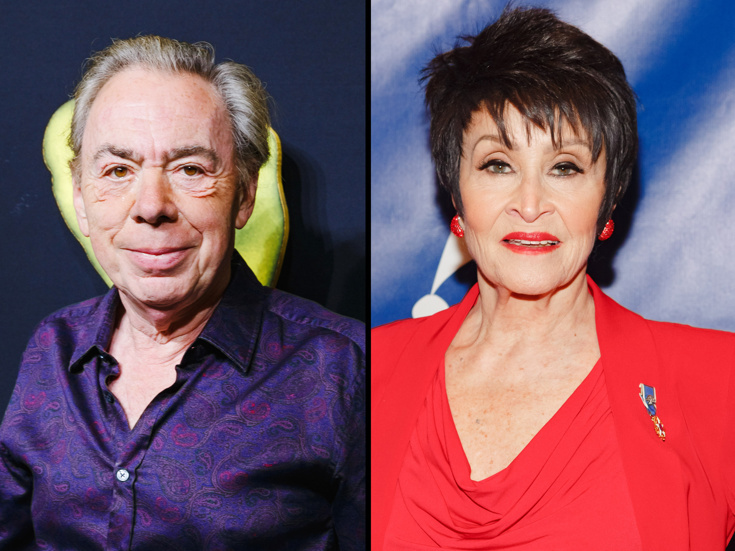 The Tony Awards Administration Committee has announced that Tony-winning composer and producer Andrew Lloyd Webber and Tony-winning actress Chita Rivera will be the 2018 recipients of the Special Tony Award for Lifetime Achievement in the Theatre. “I am completely overwhelmed as a Brit to be honored by the Broadway community at the Tonys, particularly at the time when musicals are flying higher in their spiritual home New York than they have for two generations,” said Lloyd Webber. Lloyd Webber is the composer of some of the world’s best-known musicals including Cats, Evita, Joseph and the Amazing Technicolor Dreamcoat, Jesus Christ Superstar, The Phantom of the Opera, Sunset Boulevard, School of Rock, Cats, The Phantom of the Opera and Love Never Dies. Webber is the winner of seven Tonys, seven Oliviers, a Golden Globe, an Oscar, the Praemium Imperiale, the Richard Rodgers Award for Excellence in Musical Theatre, a BASCA Fellowship, the Kennedy Center Honor and a Grammy Award. Rivera has won two Tony Awards, for The Rink and Kiss of the Spider Woman, and received eight additional Tony nominations. Her other Broadway credits include The Visit, The Mystery of Edwin Drood, The Dancer’s Life, Nine, Bye Bye Birdie, Chicago, Jerry’s Girls, Guys and Dolls, Can-Can, Seventh Heaven and Mr. Wonderful. Rivera was awarded The Presidential Medal of Freedom by President Barack Obama in 2009 and received the coveted Kennedy Center Honor in 2002. The American Theatre Wing’s 72nd Annual Tony Awards, hosted by Sara Bareilles and Josh Groban, will air on CBS on June 10 at 8:00 ET live from Radio City Music Hall. Nominations for the 2018 Tony Awards will be announced live, by Leslie Odom, Jr. and Katharine McPhee, on May 1 from the New York City Public Library for the Performing Arts at Lincoln Center.